Yes, you read that correctly, this smoothie tastes like a decadent chocolate-cherry cake. I was blown away by this flavor combination. I’m without words. I first heard of this smoothie idea a few months back from Running with Spoon’s Black Forest Smoothie. When frozen cherries went on sale at Costco I knew I needed to try this, and for dinner! I took the recipe I had found and modified it a bunch to get my version. 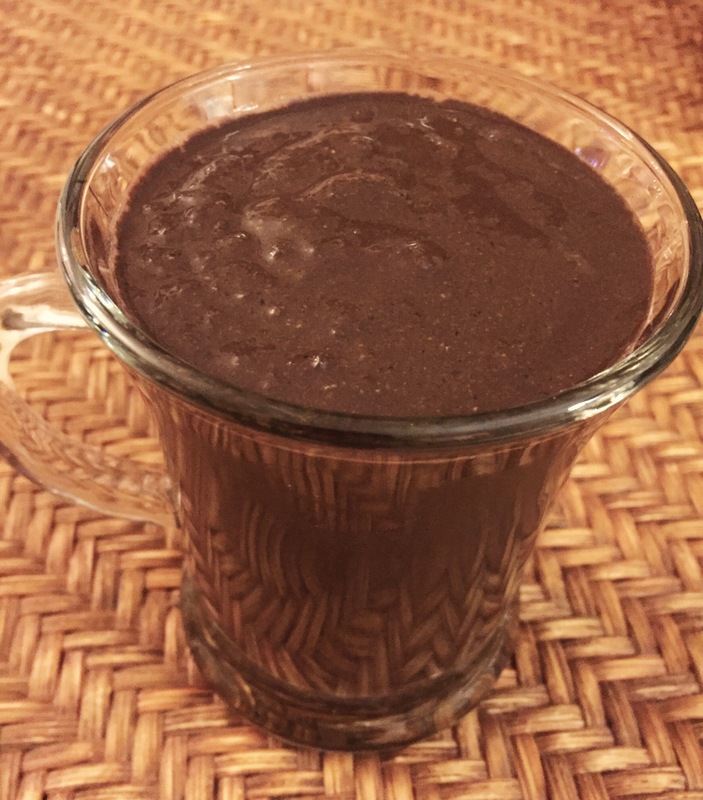 I won’t make you wait any longer, here it is…go make yourself a cake in a cup for breakfast or lunch or dinner with out any guilty feelings about it! If using protein powder, pour scoop into a small bowl and mix with 1/4-1/3 cups of water until a paste forms (this stops the protein powder from clumping in the smoothie). Place all ingredients into a blender, and blend on high until well combined. Drink right away, or put smoothie in the refrigerator for about 10 minutes to allow chia seeds to thicken the smoothie consistency. I hope you make this Black Forest smoothie, so we can share a moment together understanding the pure deliciousness of it. Thank you! If you try making it, I’d love to hear how it came out for you.